At Ene Naturals Training academy, we have a fully functional and equipped training facility that is conducive for learning. At our academy, our trainings are practical based hence our open plan space that allows the student room to not only jot down important notes but gives him or her room to create their own natural products. 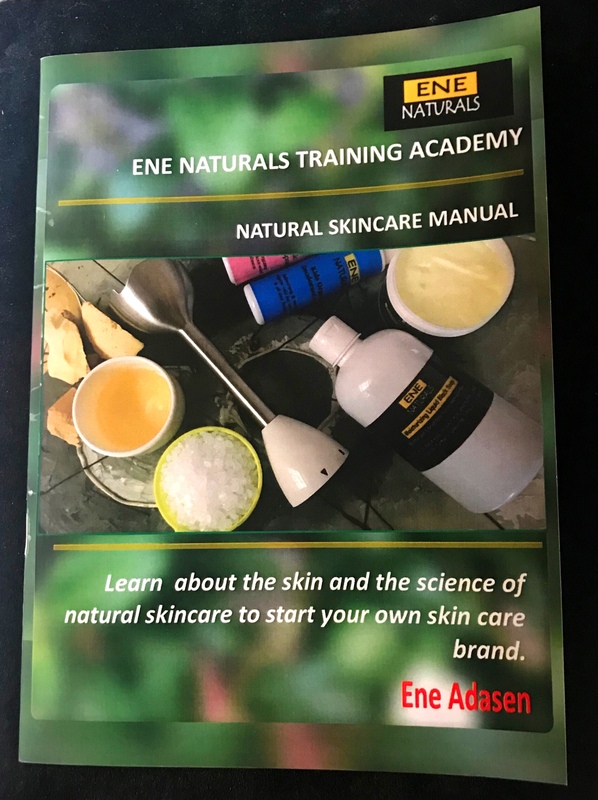 We also have a well written handbook on skin care and natural skincare formulation that is given to every student on enrollment. Our classes comprises of theory, practicals and business development which comes at the end of the product formulation classes to teach and equip the students with business development tools like supply chain management, product design and packaging, marketing, financial planning and brand sustainability. Our classes are open all year round so to enroll, please visit TRAINING ACADEMY to register for any course of your choice. For inquiries, you can leave a comment below.